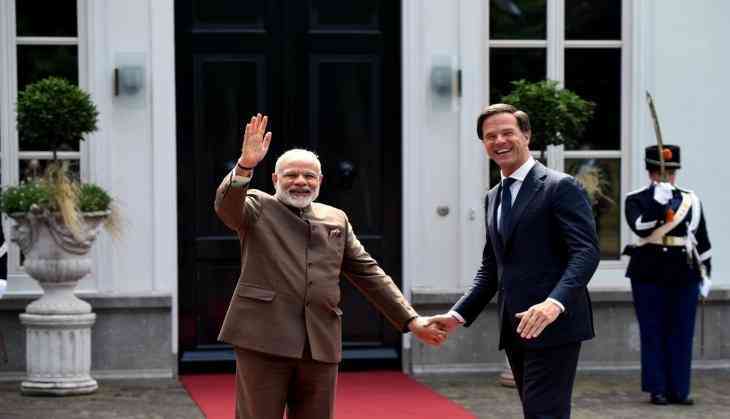 As Prime Minister Narendra Modi wrapped up his three-nation tour on 28 June which culminated at The Hague on Tuesday, Dutch PM Mark Rutte gesture to his Indian counterpart is making headlines. One thing that stood out was Rutt's tweet to PM Modi in Hindi. His tweet - thatseems to have no political connection at all - later went viral on social media. "Welcome to the Netherlands @narendramodi Our bilateral relations go back 70 years and with that I am extremely excited about our meeting," reads the tweet, roughly translated. He has also gifted a bicycle to PM Modi during the latter's day-long visit to The Netherlands on Tuesday. PM Rutte with a big smile on his face was also seen standing beside PM Modi when he was riding the bicycle. News: Narendra Modi has serious personal space issues. At least.. he tried.. it's more than enough to appreciate..